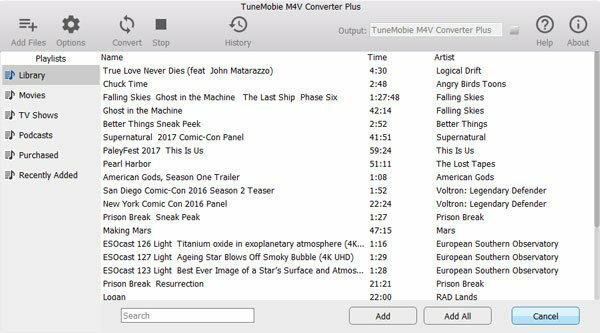 TuneMobie M4V Converter Plus - The best solution to help you enjoy iTunes movies & TV shows on any MP4 compatible devices. Now, you can enjoy iTunes M4V movies, TV shows or music videos on iPhone, iPad, Android phones & tablets as well. 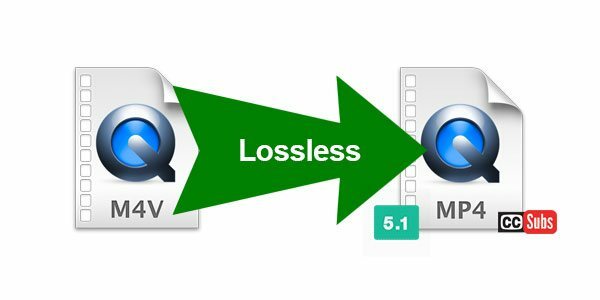 Follow the quick guide below to convert iTunes movies and TV shows to all-purpose MP4 video. 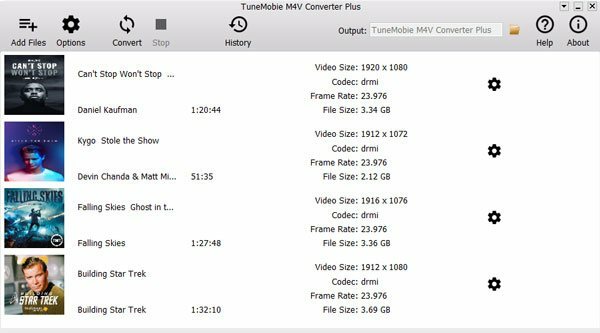 Launch TuneMobie M4V Converter Plus and iTunes will be automatically launched, Click "Add Files" to load iTunes M4V library, all your downloaded iTunes purchase will be listed as playlist in the left panel. Select M4V videos in a playlist and click "Add" button to add the videos you want to convert. You can use Ctrl or Shift key to add multiple videos. Click "Add Files" again if the videos are listed in different playlist. Search box is also available. 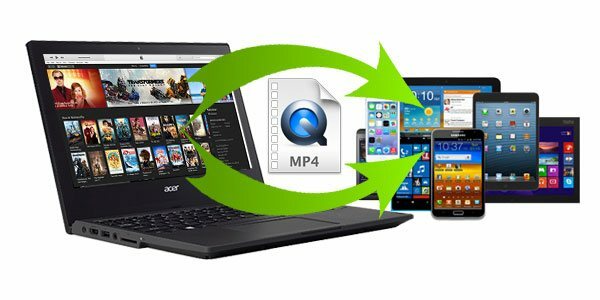 Click Convert button to start converting purchased iTunes movies, TV shows or music videos to MP4 playable on all kinds of devices. Click History button to manage the output MP4 videos. My family members are using different mobile phones. I use iPhone and have purchased some movies on iTunes Store. With the help of M4V Converter Plus, my parents can now watch the movies on Kindle and Samsung Now. Well done! I am using both iPhone 7 and Huawei Mate 9. I didn't realize I can even enjoy iTunes movies on Huawei until I met your program. I must say M4V Converter Plus is a must-have program.